If you have recently been arrested for Domestic Violence charges in Raleigh NC, the allegations used to support a Warrant for Arrest or Criminal Summons may also serve as a legal basis for a Complaint and Motion for Domestic Violence Protective Order. Defense attorneys and divorce lawyers alike commonly refer to that as a DVPO or 50B Order. That’s because of the statute in North Carolina, which is Chapter 50B Domestic Violence Laws. They are complicated legal matters in North Carolina, often involving litigation in civil court and criminal court. Do I Need a Criminal Law or Family Law Lawyer in Raleigh? Frankly, it helps to have legal representation by an attorney who is experienced litigating cases involving DV (domestic violence) in court. It’s not terribly important whether they refer to themselves as a divorce lawyer or criminal defense attorney. DVPO actions, while they technically are litigated in civil court rather than criminal court, have implications in both civil claims and allegations of criminal charges. For example, the protections under Chapter 50B against “causing bodily injury” or “threatening members of the family,” fall under Chapter 14 of the NC Criminal Laws. They may not be specifically called, by the statutes, “domestic violence,” but they are illegal all the same and include arrests for things like Assault on a Female and Simple Assaults. Domestic Violence harassment may qualify as “communicating threats.” And of course, depending on the factual scenario, criminal offenses can be felony or misdemeanor charges. Attorney John Fanney has been helping people with problems in the Raleigh-Metro area for more than 25 years. His practice is defined by courtroom advocacy, hard work, and preparation. Domestic Violence charges in Raleigh NC are subject to a fair amount of cross-over between traditional practice groups. Our goal is to provide information and guidance. And as such, we are available for consultation and possible legal representation for Family Law matters, as they may involve a Motion for DV Order or other “protective order” in Wake County. One benefit of our practice is that we charge flat rates and provide a FREE CASE EVALUATION for criminal offenses, allegations of domestic violence, and defending a petition or complain for Domestic Violence Restraining Order under N.C.G.S. 50B. Complaint and Motion for Domestic Violence Protective Order. Should I Hire a Lawyer for a 50B? Unlike criminal charges, which require a court appearance and may result in an Order for Arrest (OFA in North Carolina) if you skip or miss court, a 50B in Raleigh NC is a civil court matter. If you fail to appear to court, the District Court Judge may extend the period of the Order up to 12 months. You may wonder how the 50B came to be in the first place. Many, if not most domestic violence protective orders in Raleigh NC are obtained ex parte. The Plaintiff in the lawsuit, that’s what they’re called in civil court vs criminal court, files a formal Complaint and Motion based on sworn testimony, under oath, or affidavit. Upon reviewing the allegations of domestic violence, the District Court Judge makes a preliminary indication of whether sufficient evidence exists to merit the temporary order. In other civil cases, lawyers may refer to that as a TRO or Temporary Restraining Order. As it relates to domestic violence issues, the Order is called a DVPO but it still is for a limited period of time. How do Domestic Violence Lawyers Raleigh NC Help? Because you likely were not present when the DVPO was issued, the Order may only be temporary and you have a right to be heard, to argue against the continuation of the 50B, and confront the witness or witnesses (evidence) against you. BUT, unlike criminal court and criminal charges in North Carolina, the Plaintiff can call you to the stand and ask questions. 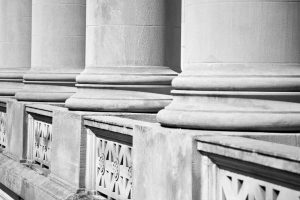 While you may “claim the 5th” in a civil proceeding, that does not necessarily keep the Judge from extending the protective order. These tend to be pretty complicated legal issues. I am more than willing to sit down with you, review the paperwork including the Complaint of Domestic Violence Order and explain your legal rights and options – John Fanney, Domestic Violence Lawyer Raleigh NC.